Don’t fret, there are options abound for free cultural activities to keep you busy whilst Mum and Dad send some moolah through Western Union to get you back to travelling (and partying). So, without further ado, let’s delve into the stingier side of this fair city that we call Budapest. Szechenyi Spa: the largest thermal bath in Europe, with beautiful Neo-Baroque architecture and over 15 different pools - unfortunately this one is not free, but it’s still worth a visit if you have any pennies lying around, especially if the club last night has left you with a naughty hangover. 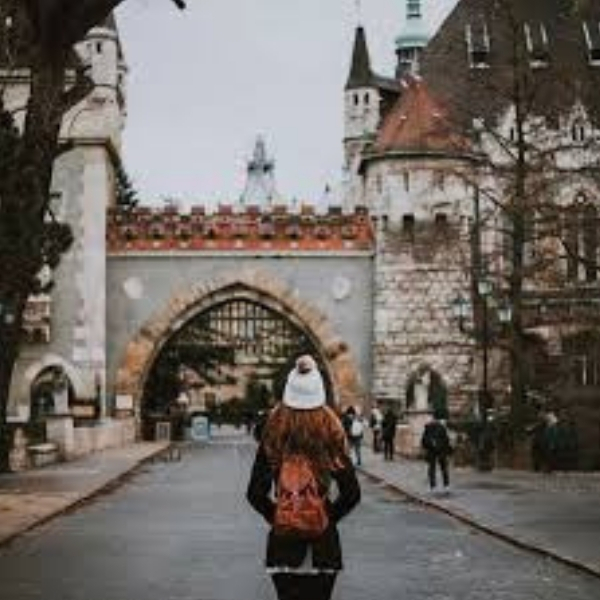 Vajdahunyad Castle: a purely decorative castle constructed to celebrate 1000 years since the settlement of the Hungarian people - an eclectic mix of architectural styles, a must visit spot if you’re touring the park. The Museum of Fine Arts: with collections consisting of over 100,000 pieces of art, this museum would take days to see in its entirety, but you may have to settle for an afternoon. The National Museum: displaying the history, art and archaeology of Hungary, a fantastic museum to understand the culture behind this great nation. The Hungarian National Gallery: similar to the museum of fine arts, but focussing on more modern and contemporary Hungarian artists. St. Matthias church - the oldest church in Budapest, and renamed after King Matthias in the 19th century, this building features some of the most exquisite and priceless roof tiles that you will see here or anywhere in the world. The Citadel - constructed during the Austrian occupation of Hungary during the 1850’s, this is another wonderful viewpoint to see the city from. Also on display are a collection of heavy weapons from the second world war. The Liberty Statue - somewhat less impressive than the Statue of Liberty in New York, this bronze statue stands 14 meters tall, and was constructed to commemorate those Hungarians who gave their lives in defence of the liberty and prosperity of their country. The centennial memorial: built in 1973 to celebrate the unification of the two cities, Buda and Pest, into one, modern day Budapest. The water tower - originally constructed to be functional, but now serving as a viewpoint and exhibition hall. Church ruins: ruins of several churches dating back to the 13th century when the island was settled upon by the Knights of St. John. A sprawling 56 hectares of well-preserved pantheons, gravestones and plantlife, and located a short metro ride away from central Budapest, a wealth of famous Hungarian dignitaries, statesmen, actors, artists, and other notable figures have had the honour of being buried beneath this hallowed ground. You’d be forgiven for forgetting that this is a place of burial, as the ornate and intricate statues and mausoleums seem like something out of a children’s story. With a rich and controversial history (part of the graveyard was sold off by the Soviets to a rubber factory and subsequently destroyed), the Kerepesi graveyard is an eerily beautiful area through which to wander. With a bit of luck, this list of activities and things to do in Budapest will keep you occupied whilst you get your finances back in order. And when you do, be sure to check out the bars, clubs and restaurants on offer around the city, the nightlife is truly something special. And if you need any more advice on slightly more fun, and slightly less PG-13 events, be sure to check out our other blog posts and articles!